I always look forward to listening to a new Dale Watson album and thus far I’ve never been disappointed with his recorded output. Call Me Insane proves to be no exception. I thoroughly enjoyed this album, although as a diehard western swing/Texas swing fan, I was a little disappointed to see very little evidence of swing in this album. This is an album of honky-tonk music with a strong Bakersfield flavor. Don’t call it country, though, because Dale definitely doesn’t want his music associated with the tepid and insipid stuff currently heard on country radio and television shows like American Idol. Dale recently reiterated this on National Public Radio’s Weekend Edition program. Next up is a “Bug Ya for Love” is a more mid-tempo country song about the pursuit of an unattached woman. Although light-hearted and humorous, the humorless feminists would probably label it a stalker song. The song features extended piano and steel instrumental breaks. “Burden of the Cross” is the most interesting song on the album, a somber ballad about a roadside memorial being removed to make room for a highway expansion. As most know by now, Dale’s fiancée lost her life in a car accident, and I suspect that Dale was compelled to write this song, Although not so stated in the lyric, the narrator goes back at night and replaces the memorial. When I heard the instrumental introduction to “Everybody’s Somebody in Luckenbach, Texas”, I thought I would be hearing “Let’s Chase Each Other Around The Room” but the melody changes up and what we have is a song dedicated to the small Texas town, Waylon Jennings made famous several decades ago . Watson extols the town’s simple charms and a fine woman. on this you can hear the strong influence of Lefty Frizzell on Dale’s vocals. Songs such as “Crocodile Tears” were staples of classic country music – the same old story of a lover that has died and a heartbroken lover trying to convince himself that his ex still loves him. “Jonesin’ For Jones” is a tribute to the departed king of the honky-tonkers, George Jones. This upbeat song finds Dale wanting to see the George perform again. As Dale puts it ‘thank God that his music still lives on’. Amen to that! The lyrics name a number of George’ song and there are musical signatures of several songs, most notably “White Lightning”. I think George would really like this song. “I’m Through Hurtin’” finds our hero seeking pain relief through a night on the town. I love the steel guitar work on this mid-tempo ballad, This is followed by the title track “Call Me Insane” a very slow ballad about a man who hopes for a better end to relationships than he has experienced in the past. He retains hope even though it may be insane to do so. Dale’s vocals are very nuanced and full of intospection. The use of trombone, sax and trumpet as accents is masterfully handled. “Heaven’s Gonna Have a Honky Tonk” is honky-tonker about Dale’s concept of heaven and his thanks for being allowed to live the life he lives. I’m not really wild about songs sung in two languages. For instance I always preferred Jack Greene’s original version of “Before The Next Teardrop Falls” to Freddy Fender’s later bilingual version (that Greene was a far superior vocalist also figured into the equation). That said, “Tienes Cabeza de Palo” is a nice changeup. The Bing translator translates this a ‘You Have A Stick Head’ but I suspect it means something like ‘You’re hard headed’) Mariachi horns highlight the production. “I Owe It All to You” is a ballad in which Dale thanks his woman’s ex for being such a jerk that she ended the relationship . “Forever Valentine” is an ideal ballad with which to follow up the previous song. Dale picks up the tempo again with “Hot Dang” a song that compares falling in love with a sunny day. The melody reminds me at times of “The Race Is On” and the song is a bit of a throwaway. Up to this point all of the songs on the album were written or co-written by Dale. The album ends with a Tony Joe White composition “Mamas Don’t Let Your Cowboys Grow Up to Be Babies.” The title, an inversion of Ed Bruce’s 1976 top twenty hit that Waylon & Willie took to #1 in 1978, exhots mothers to raise their sons as cowboys. 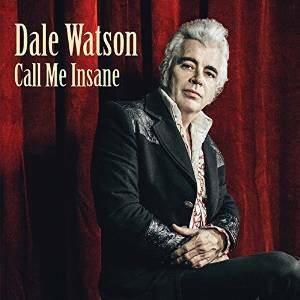 I like this album, I like it a lot and while it is not one of my favorite Dale Watson albums, it is still one that has been playing in my car CD player for the last week and is a worthy entry into the Dale Watson canon.